Why do Vegan's need an egg substitute? Vegans are people that do not meat, eggs, dairy products or anything else that comes from animals. They also will not eat foods that have been processed , using anything that came from an animal. Vegans will not wear anything that came from animals or were used on animals for testing and products made from anything to do with animals. So basically eggs are out of the question. So what is a good egg substitute for Vegans? Vegans will not use regular eggs to cook with because they were produced from chickens. So instead they will find things that are substitutes for them to either eat or cook with when making something that requires the use of eggs. Here is a list of different replacement things you can use. What Else Can Vegan Eat To Replace Eggs Completely? Vegans will eat beans, grains, legumes, vegetables and fruit. They make their own forms of hot dogs, mayonnaise ice creams and cheese. They also will eat pasta that is whole grain, nuts and seeds, bread but they will make their own or check labels for whole grain breads and certain condiments. The things that I have listed above work good as egg substitutes. The only thing you have to watch out for is if the recipe you are trying to make requires a lot of eggs, some times a lot of the substitute is not good and will make the recipe taste bad or come out wrong. Becoming a vegan is a much healthier way to live. But again you as a vegan are lacking a lot of the vitamins and nutrients you have to get from certain foods. Yes there are things you can substitute and take as a supplement but this does not always work. You have to value and take good care of your body, it is the only one you have now and always. If you are looking to go to veganism make sure you do all the research you will need to do so. 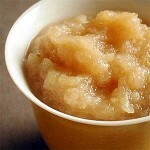 This is an image of apple sauce, and this can be used as an egg replacer. 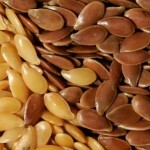 This is an image of flax seed, which can be used for an egg substitute. 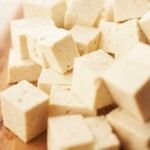 This is an image of tofu which vegans use as an egg substitute. Vegan - What is a vegan? - What do vegans eat? 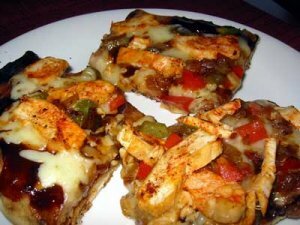 Share a link to a page on Vegan Egg Substitute and we will consider it for placement on this page.